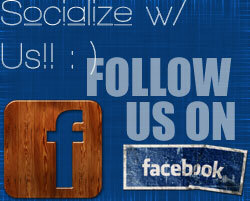 Through its subsidiary company, Klazz, we are redefining the world of home elements. From industry leading stainless steel sinks and kitchen faucets, to stunning shower panels and high efficiency toilets, Superior is positioning itself as a leader in home accessories. 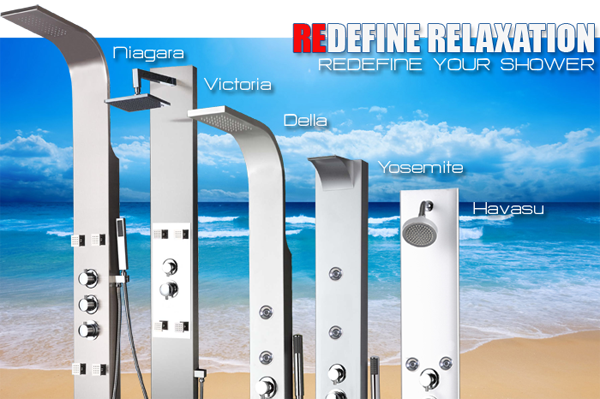 Redefine relaxation and expect more from your shower. The Klazz family of shower panels exemplify style and sophistication, while offering you a luxurious spa-like get away. Our shower panels utilize on ly the highest quality materials to ensure this beautiful fixture continues to deliver the world's best shower for many years to come. 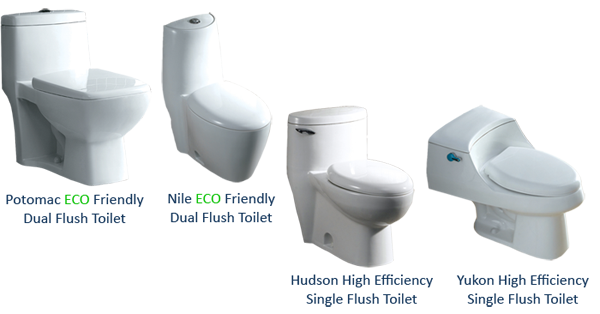 Klazz Toilets are designed to deliver a complete, powerful flush every time while exemplifying luxury and design. The Hudson & Yukon high efficiency toilets offer a sleek & contemporary style to any bathroom remodeling project. It makes sense. Conserve water and money with an Eco Friendly One Piece Toilet featuring a dual flush design. These high efficiency toilet provides superior flushing performance while allowing you the flexibility to choose a half flush or full flush, ensuring the most appropriate water saving flush is used every time. ©2012 Superior Kitchens and More Inc. All Rights Reserved. Superior is a leading distributor of high quality, all wood construction cabinetry and home accessories, and one of the fastest growing dealer networks in the country. Trusted for our quality, it is our careful craftsmanship and attention to detail, together with world class customer service, that continue to make us a leader in the home improvement market.